In a development described as “gaining momentum“, the long-planned Chouteau Greenway may get something of a start next year. A modest 1/4-mile segment between Boyle Avenue and Sarah Street will serve as a test segment and provide access to the new MetroLink station (image above). 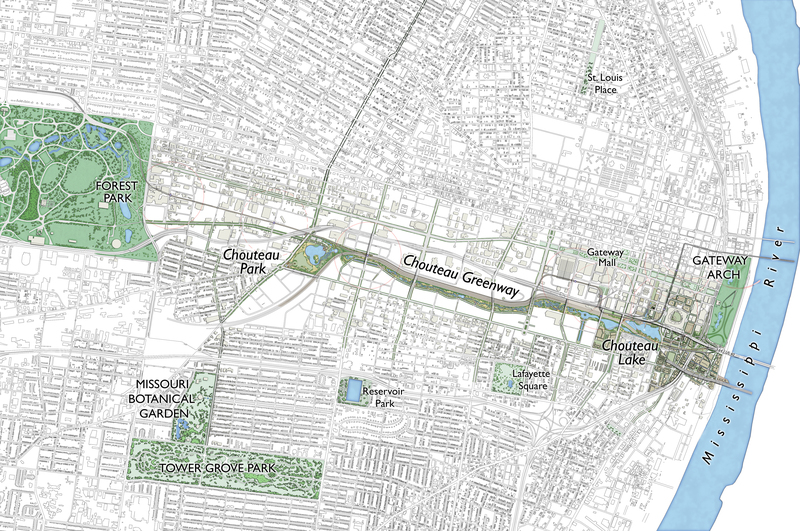 The idea for a Chouteau Greenway and/or Chouteau Lake District in the city emerged as rough thematic images more than 15 years ago. Those images imagined a stream running from a pond at Vandeventer and Chouteau, in part the site of a since-built Quik Trip, east to a Chouteau Lake near Union Station and on to shining towers on the Mississippi riverfront. The vision has reappeared from time-to-time, and was a focus of the Weiss-Manfredi proposal as part of the City+Arch+River design competition. “Chouteau’s Crossing” was presented as an under-the-Interstate park and connection of trails. 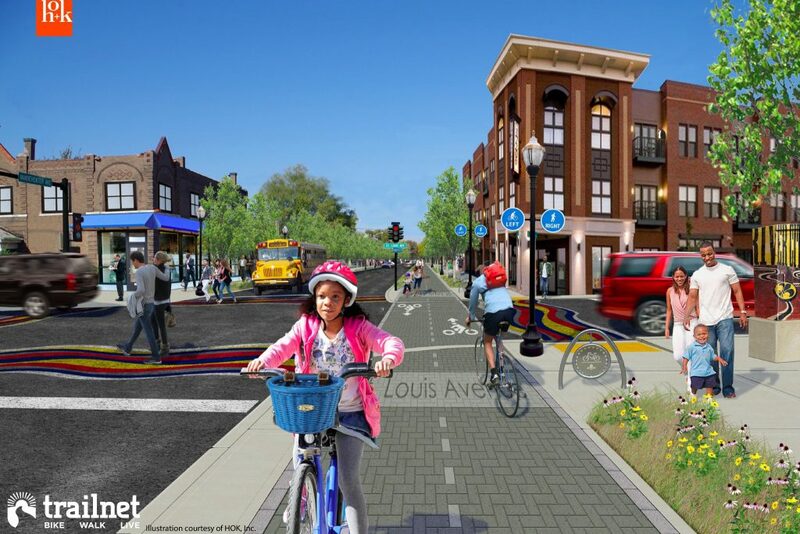 The Chouteau Lake & Greenway Master Plan, led by McCormack Baron Salazar, outlines a series of public infrastructure improvements in the central corridor of the St. Louis region. The improvements will restore a portion of the pre-industrial watershed system and provide a link between the Gateway Arch at the downtown St. Louis riverfront and Forest Park, with connections south to Tower Grove Park and north to Fairgrounds Park. … The Chouteau Lake & Greenway Master Plan is the central corridor component of the St. Louis regional greenways system. The original vision of the Greenway was quite appealing, in part because it would have offered a protected bicycle and pedestrian route east-west through the city, but more due to its proposed repurposing of industrial and railroad land. The ambition was to trigger $7B in “direct private investment”, “tens of thousands of jobs”, and “8,000–10,000 new or renovated housing units”. Greenways remain an important endeavor to link our region and provide recreational opportunities, but as recognized by a growing number of cities, on-street protected bikeways are much more effective at providing transportation options and connecting a city. The reason is simple: on-street bikeways connect directly to places people need and want to go. Greenways typically bypass commercial centers, avoid conflicts with automobile prioritized infrastructure, and find paths of least resistance. Greenways go past places, sometimes connecting places. On-street bikeways are paths as places, with many destinations along the way. 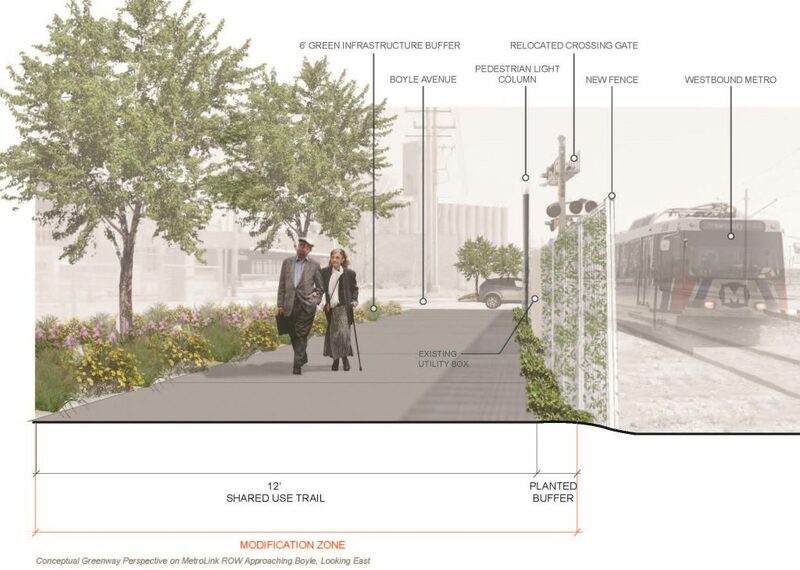 This missed opportunity is clear as one compares the Chouteau Greenway vision running straight down Clayton Avenue, directly connecting the greenway to the east with Forst Park, to the new alignment adjacent to the MetroLink line and twisting through the medical campus. The greenway idea in many ways grew from the rails-to-trails effort, an initiative that has transformed abandoned rail lines into multi-use recreational paths, including the Katy Trail and Grant’s Trail in the St. Louis area. 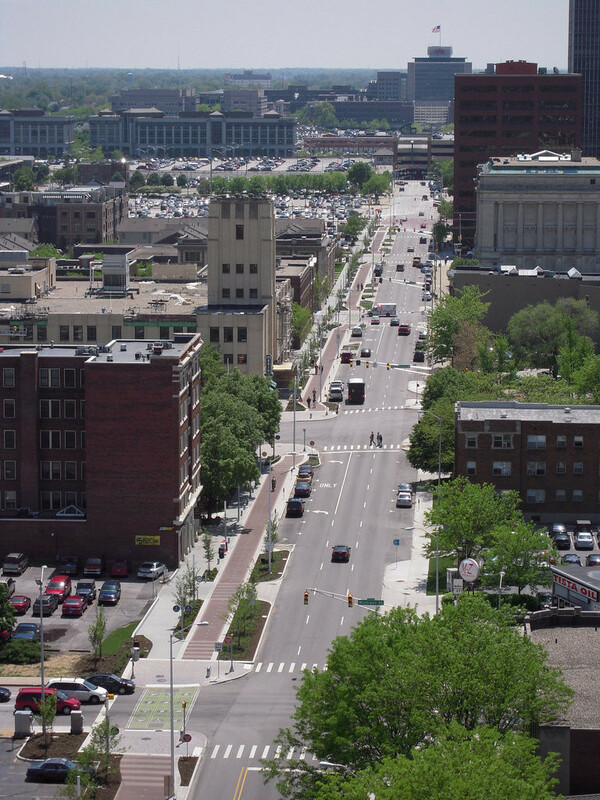 Extending greenways through urbanized areas via other right-of-ways such as those owned by public utilities, or state departments of transportation was a next logical step. 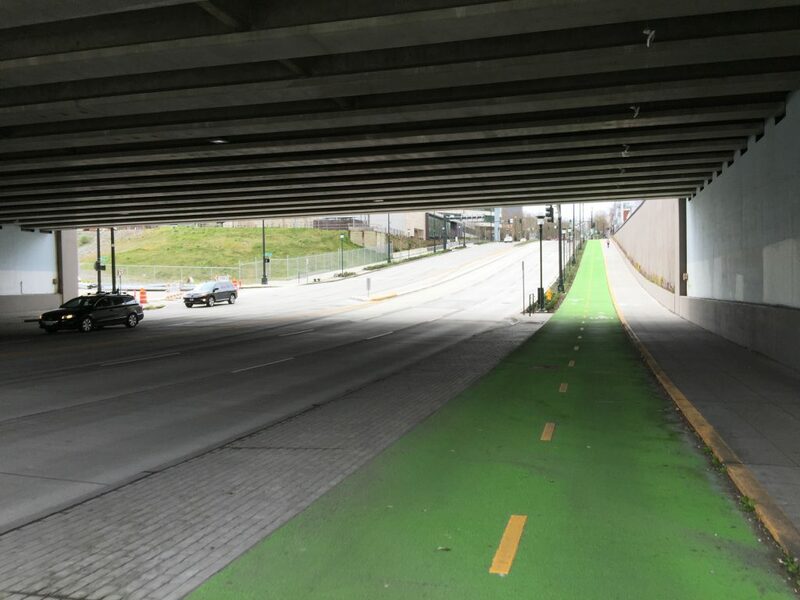 In the several decades since rails-to-trails, urban greenways, and the vision for Chouteau Greenway came about, on-street bicycle infrastructure has dramatically changed cities. 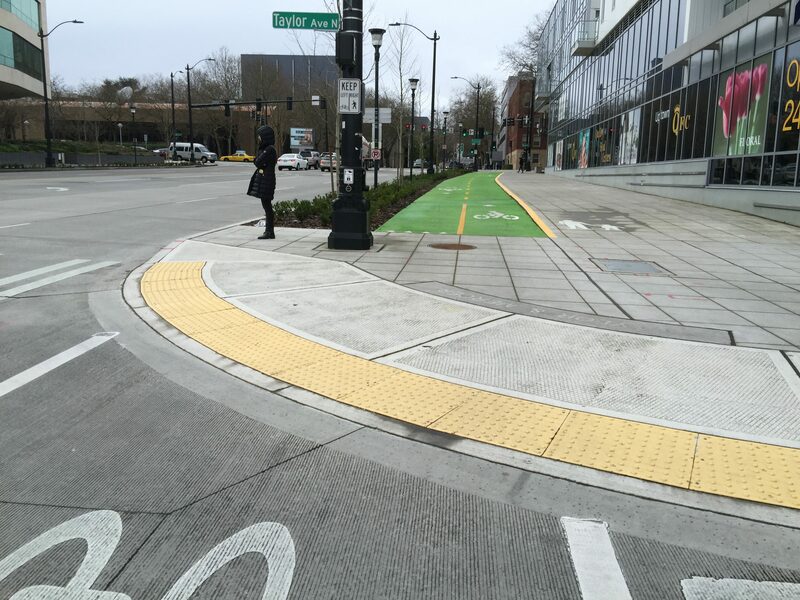 From two-way cycle tracks in Seattle, to the Indy Cultural Trail, to the protected bike lane network in Edmonton, Alberta, the focus has turned to accommodating bikes and pedestrians where they need and want to go. 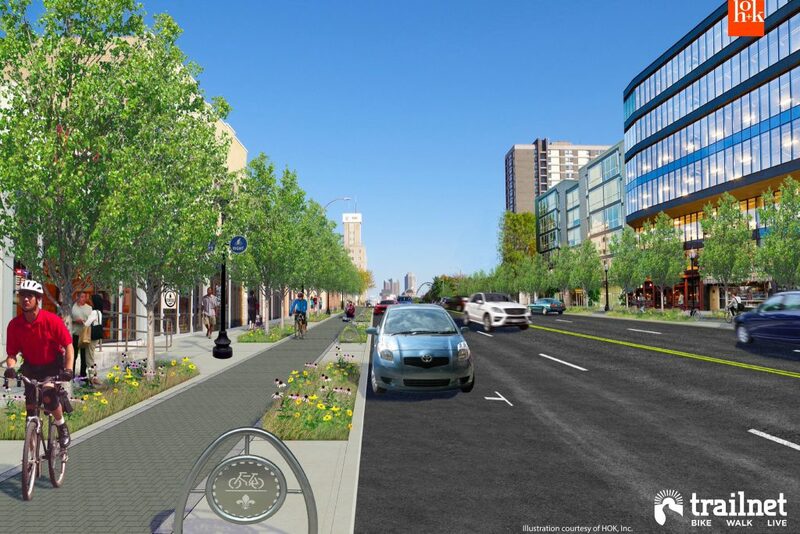 This is the idea of Trailnet’s recently announced effort to lead the effort to create an on-street bicycle network in St. Louis. Images presented at that announcement show something very similar to previously mentioned on-street bicycle infrastructure in other cities. Not long after, an interesting announcement revealed plans for a “pedestrian and bike corridor” on roughly 1/4-mi of Sarah Street in The Grove. No design or other details were released. The plans highlight today’s challenge of bringing meaningful, impactful transportation options to the city. Who sets the design standard for Chouteau Greenway, for the on-street bicycle network, for the small spurs others are proposing? While getting greenways and other things in place requires significant planning and coordination, getting functional infrastructure is likely an even greater challenge. It’s an effort the city must lead, and non-profits and advocacy organizations must support and direct. A Chouteau Greenway largely void of the depicted lakes and bucolic greenery, not to mention the new towers, thousands of jobs and thousands of new housing units, isn’t nearly as appealing. The gleaming Grand Boulevard viaduct, kayakers, and infill still present on the MBS site have not and will not happen. The idea of a recreation path though the city remains worth pursuing, especially as the region, via Great Rivers Greenway, provides significant funding for such infrastructure. But the big idea is to make cycling and walking a practical means of moving about the city. To do this will require a paradigm shift in cooperation and leadership. Riding a bicycle must be seen as a way to get somewhere instead of a way to get away from somewhere.